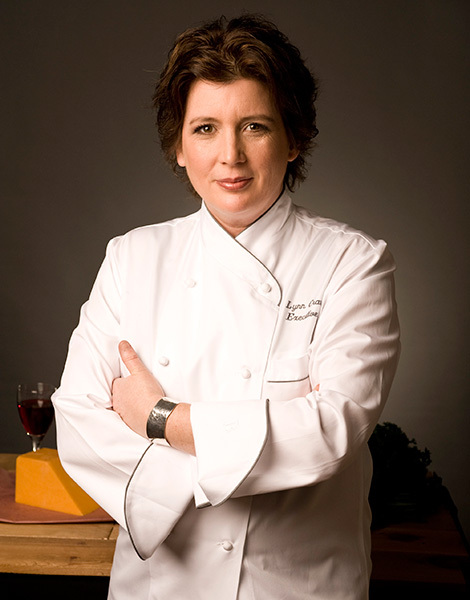 Canada’s Top Chef and celebrated cookbook author Lynn Crawford has over 25 years of culinary experience. Chef Crawford was Executive Chef for the Four Seasons Hotel in Toronto and New York. She is currently the Chef-Owner of Ruby Watchco, a critically acclaimed market-inspired comfort food restaurant in Toronto’s East End, which she launched in 2010. Chef Crawford stars in the popular Food Network Canada show, Pitchin’ In and was the first female Canadian to participate in the Food Network’s Iron Chef America and she recently competed on Top Chef Masters Season Five. Her TV show inspired Crawford’s first best-selling cookbook, (2012) Pitchin’ In: More Than 100 Great Recipes From Simple Ingredients. Her second cookbook, At Home with Lynn Crawford, was released in September 2013. Chef Crawford makes regular television appearances and has received numerous professional awards, including the OHI’s Chef of the Year (2012), Chevalier du Fromage and Spokesperson for the James Beard Celebrity Chef Tour.